And THAT's how you win over your girl's mama. 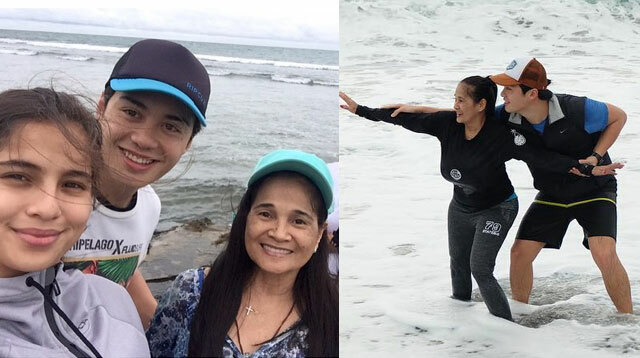 Earlier this week, Jasmine Curtis-Smith and her mommy Carmen Curtis-Smith took a quick getaway for some much-needed R&R. Their stop? La Union! The northern province is home to Jas’ boyfriend Jeff Ortega, who’s a certified beach bum and surfer! And, for some reason (probs to win BF points? LOL), Jeff took out mommy Carms to the beach to hit the waves. There, he taught his girl’s mama how to surf!